Jungle Erv is a local celebrity of sorts, with his family having a presence in the Everglades since the 1920s. 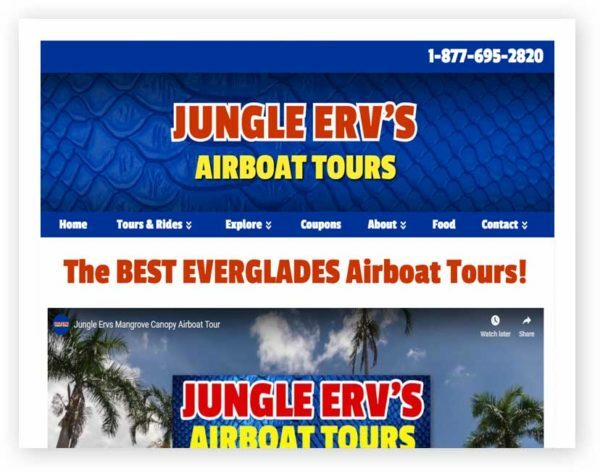 Wanting to give people a chance to experience the Everglades the way he has all his life, Jungle Erv founded Jungle Erv’s Airboat Tours. All the captains who work at Jungle Erv’s Airboat Tours are natives of the area, and many of them were in the United States Coast Guard. Educating people about the Everglades and having fun are our top priorities on every tour. Our safety record is spotless, and we emphasize safety heavily during every excursion.